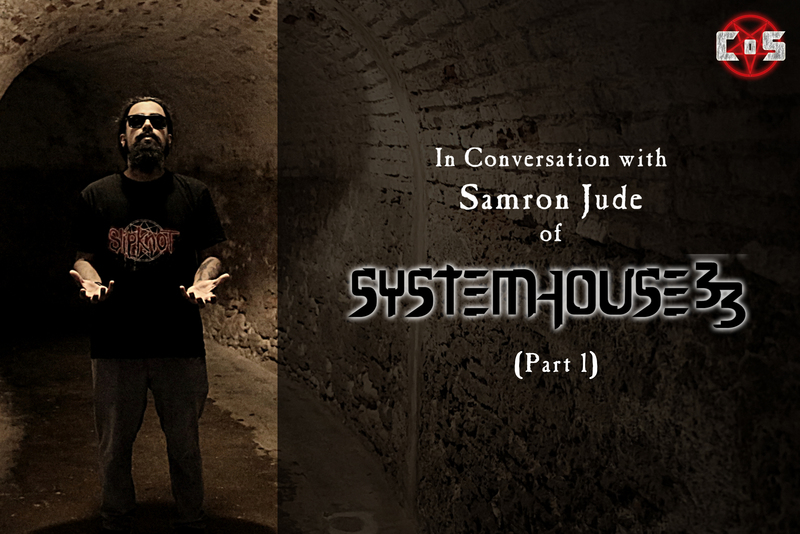 In Part 1 of our mega-interview with vocalist Samron Jude of Indian metal veterans SystemHouse 33, the band were on the verge of embarking on one of their biggest tours yet: supporting American death metallers Six Feet Under in the X-Mas in Hell tour in Europe. And now that their grueling tour will end with their last performance in Glauchau, Germany on December 12th today, it’s high time to talk about the next phase of Systemhouse: their upcoming new album ‘Regression’. The SystemHouse frontman is also not willing to understate the amount of effort the band has put into the new album. “We’ve spent one and a half to two years on the album,” he confesses. “It’s not like we’ve spent five days on the album and then taken a month’s break; it’s been non-stop. There hasn’t been a day when I haven’t thought about ‘Regression’ or what I’m gonna write or put into it. Dark yet clean, and simple yet abstract. Also, it’s refreshing to see photo-art being used in an album cover in the Indian metal scene, as opposed to the now-popular style of drawn and illustrated covers (no slight to artists like Visual Amnesia and Acid Toad though; they’re still awesome at what they do). SystemHouse 33’s ‘Regression’ is set to release sometime in early 2016. 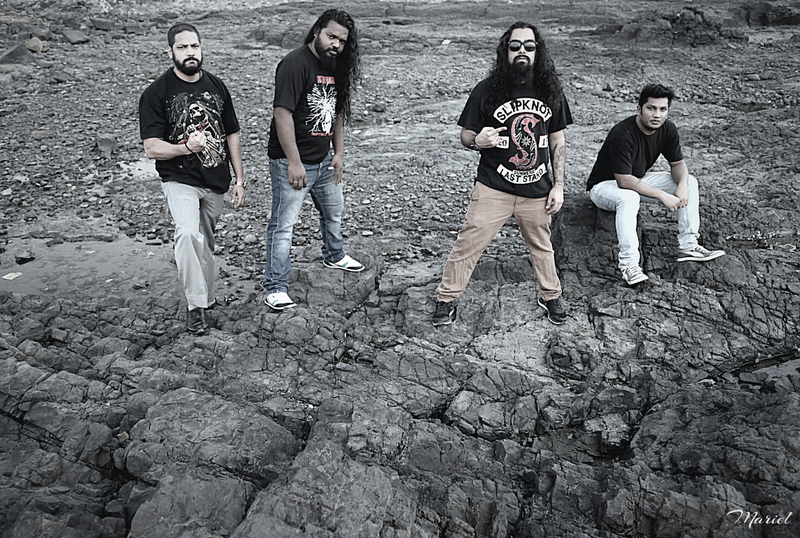 Even though there’s no shortage of things to complain about when it comes to metal music and touring, one positive is that international touring seems to be on the rise for Indian metal bands. Gone are the days when bands could only rely on special competitions like the Wacken Metal Battle; they are now reaching out hard and fast to big agencies and record labels for any taste of international recognition. If you want to hear what that’s like, look no further than Samron Jude, vocalist of Mumbai-based thrash veterans SystemHouse 33. Oh, and also because we don’t need to keep knocking on Sahil Makhija’s door for answers to questions like these. After 12 years and 4 albums, Samron sure has a lot to talk about when it comes to SH33’s history, music and touring (and he does love to talk, bless him.) In the first part of this EPIC 45-minute interview, he goes into detail about the band’s upcoming tour with American death metal giants Six Feet Under, and the grueling recording process behind their upcoming new album ‘Regression’. Hey, Samron! Thank you so much for approaching CoS and taking the time to talk to us! Absolutely, man. It’s a pleasure! We’d like to spread the word about our upcoming album, and nothing better than this. 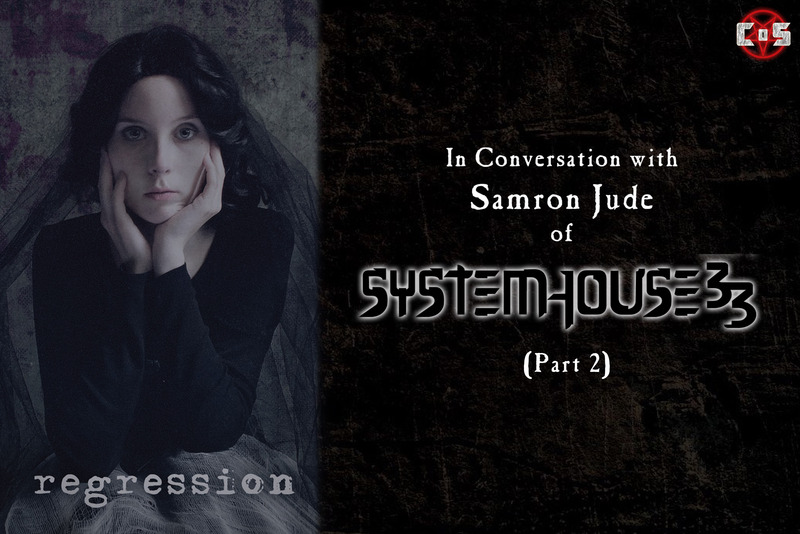 I guess those are the two biggest pieces of news surrounding SystemHouse 33 right now: your upcoming album ‘Regression’, and your much-talked about tour with Six Feet Under; which if I’m not wrong is coming this December? That’s right. We’re leaving on the first of December, and the tour starts on the third. How about giving us a recap of your experience and reaction to getting the invitation to tour with Six Feet Under? It’s something we’ve been working on for the past couple of years. It’s really tough being a band in India, and almost impossible to make a career out of it since the audience here is so little. There are no organisations here that regularly do it; not as much as a band would like. We’ve thought about this situation in our country, even though we would love to be popular here. Being a band for about 12 years, we’ve seen a lot of things change, which has led to a lot of bands disbanding over the years. So I personally thought that doing something internationally would be a new prospect for the band. We reached out to a lot of booking agencies and people who are connected with these big bands, and told them about how metal works in India. A lot of big bands like Iron Maiden have come to India in the past 8 years, so people know that there is a metal scene here. With all of that in the picture, we were reaching out hard and fast for offers, and we ended up with the agency that works with Six Feet Under. We were actually going to do this in April, but that got delayed while SFU were doing a tour with Suffocation in Germany, and we thought it’d be better not to do that tour. This [Xmas in Hell] tour is something that’s almost impossible for a band like India to perform. Of course! Which is why it’s such a big deal! Yeah! So that smaller tour was cancelled, and although we were already booked on that tour, they offered to switch us to their [Xmas in Hell] tour that they’ve been doing for nine years now. This is a tour that’s very close to them, and it’s the last set of concerts that happen in Germany before the winter takes over there. So when they told us they could give us this [slot], we were like, “wow… we didn’t expect this.” It’s actually good in a way that the tour got delayed, because we’ve been working so hard on this, as well as on the ‘Regression’ album. We actually re-recorded the album in that time. Yeah, this is the third time we’ve hit the studio. We’ve scrapped 3 to 4 songs, we’ve wrote 3 songs. We’ve worked so hard on this album; it’s almost like a full-time job, man! I feel like I’m working on it on a daily basis, but that’s actually when it gets more real. It’s not the second thing you do during your day, it’s the first and best thing; when you wake up and all you think about is music and ‘Regression’. It’s the best feeling of confidence that all of us in the band have right now. We’re happy to play with Six Feet Under too, because I feel we’re VERY well-prepared. I bet! With 12 years and four albums under your belt, I guess you really feel that you can do more international tours now. We want to! We want to be that band whose music the world can hear, because we can at this point. Even before, we thought ahead and moved to Bombay from Nagpur, which was a tough transition considering that Bombay is a tough place to live in. But we got through that, and I have a feeling we’ll get through this as well, and grow into a band that can make popular music that the people will love.